We definitely have a soft spot for well designed and interesting playgrounds (just take a look at these!!) 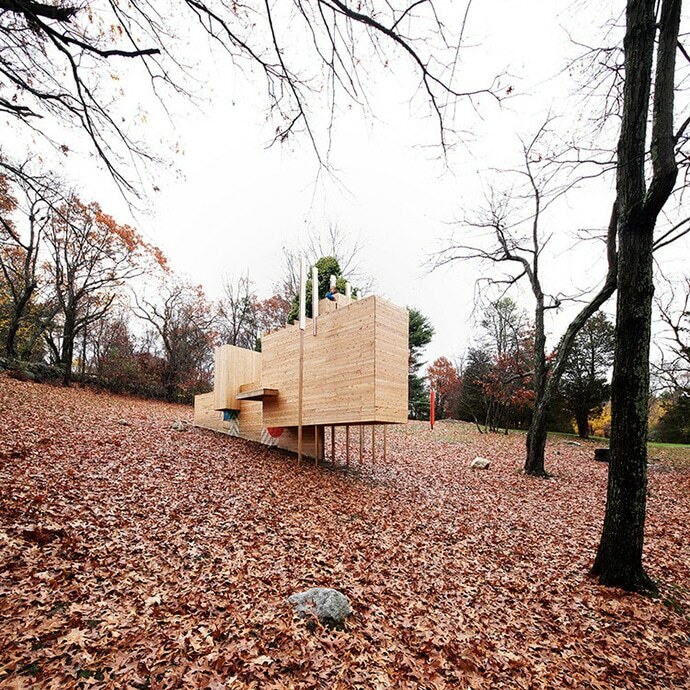 and today we’re loving this large, geometric structure from Matter Design Studio. 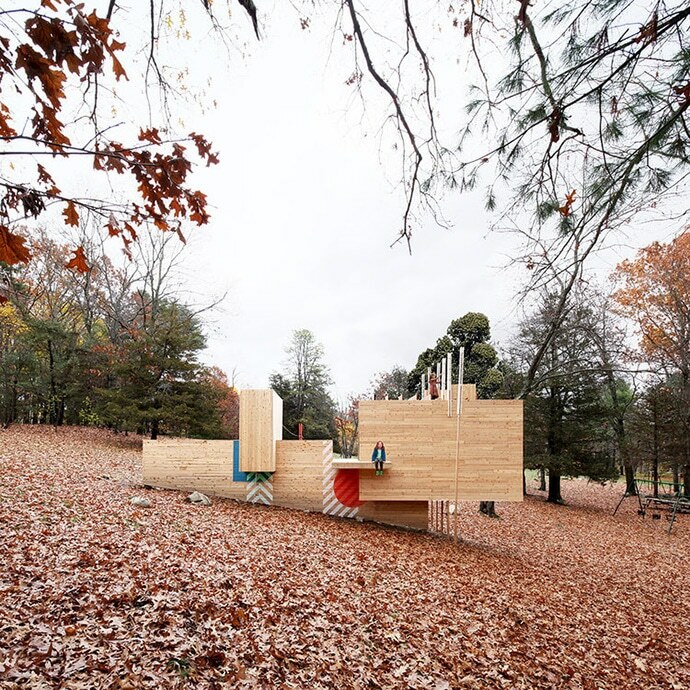 This playground is located in a shared backyard space in the Five Fields neighborhood in Lexington, Massachusetts. The neighborhood was built in the 1950s but since then this structure was built in 2016 to give kids a safe and exciting place to play. 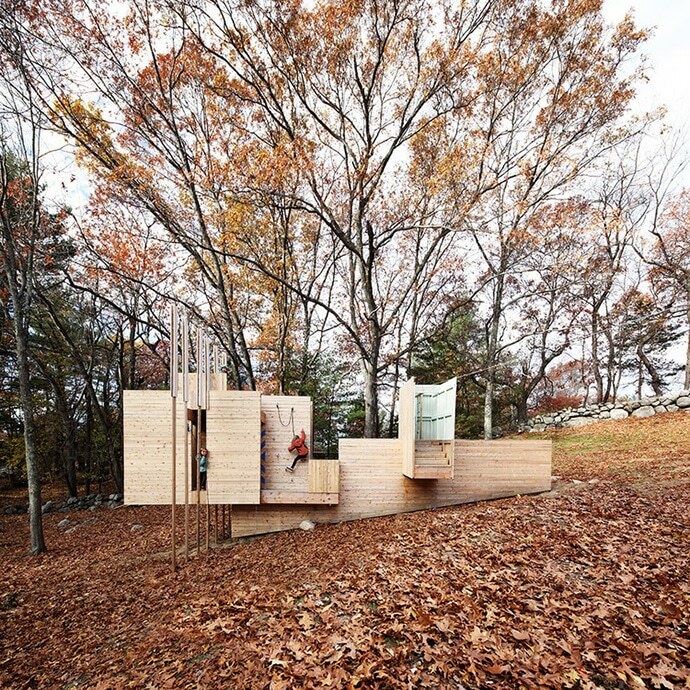 We especially love this play structure because it was built to encourage creative and imaginative play. Various elements included do not have specific intended purposes but rather can be used, played with, and climbed on in a large variety of ways. 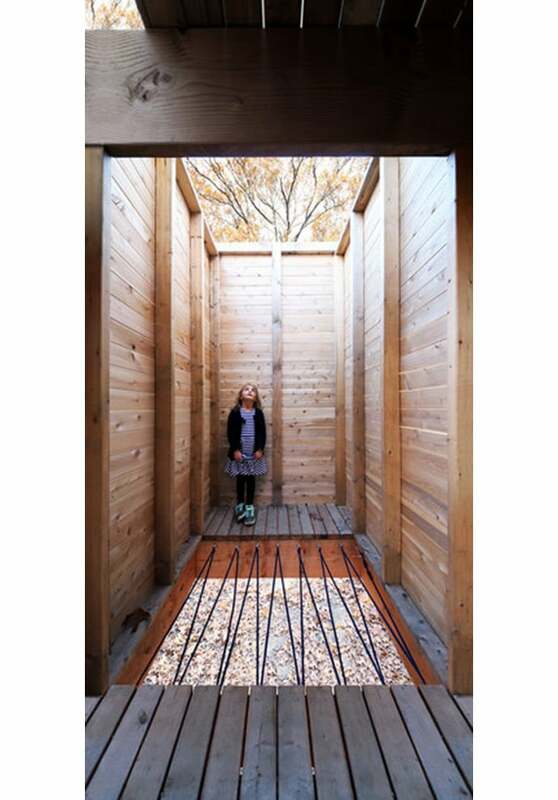 Colored shapes and patterns on the structure draw attention to different features on the structure while still allowing kids to decide for themselves how to interact with them. Kids of varying ages can all enjoy the structure in different ways – some features like the zip line are only accessible to older kids who have the skills to access it, while younger ones will enjoy crawling, climbing, and learning on other parts of the playground. See more from Matter Design here!